Glo Urfa spent many hours in a tricked-out van yesterday, telling stories of our grandmothers and sleeping a fair amount. On our way to Mt. Nemrut, we made a few pit stops, stopping to gape at endless caves, ruins of castles past and the magnificent bucolic scenery of rural Turkey. Fortunately for us, our traveling was not just limited to listening to our tour guide explain the history (fun fact: he calls some of us his historiadors, rather than historians. I think I’m going to add historiador to my everyday vocab). Because yesterday was a national holiday in Turkey, Turkish citizens had the day off to relax, travel, or, in some cases, casually dance around famous archaeological sites. A group of three vans of Turkish university students seemed to follow us to each one of our destinations, arriving with loud pop music blaring and then subsequently dancing while encircling a drummer and horn player. We were a bit confused the first time this happened, but eventually, our confusion turned into envy — we Globalistas wanted to have just as much fun! It was a good thing then that we were invited to dance with the group at the second destination, leading to a merry old time and our learning how to gyrate our hips Shakira-style. Or rather, typical Turkish-style. Our new friends took several pictures with us, and seemed to really enjoy our company — though maybe it was just because of Luke’s movie star good looks. 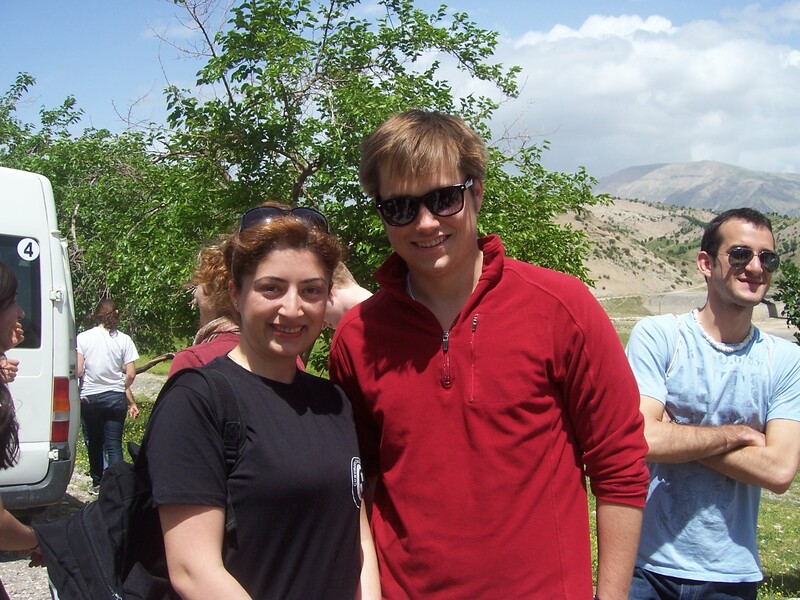 He attracted quite a few fans, with some Turkish girls even begging him not to leave them. Perhaps Luke will just stay in Turkey and become a trophy husband? When we saw our new Turkish friends the next few times, they kindly offered us food from their picnic (it was delicious, of course). We eventually came to find that they were 20-22 years old, all studying to be early childhood educators. Their future students are lucky — I could only hope for a kindergarten teacher who could dance as well as these ladies did! Interspersed with our dancing and friend-making were amazing historical sites. Stone carvings of ancient kings and gods litter mountain tops in the area, their significance melted only by the endless mystery of caves. While the rest of us gave up on cave exploring after clumsily falling down after four steps in the cave, our fearless spelunker Rae attempted to climb into the deep belly of a cave, only to be coaxed out by our tour guide, who was worried about her safety. We eventually came to see the statues at the top of Mt. 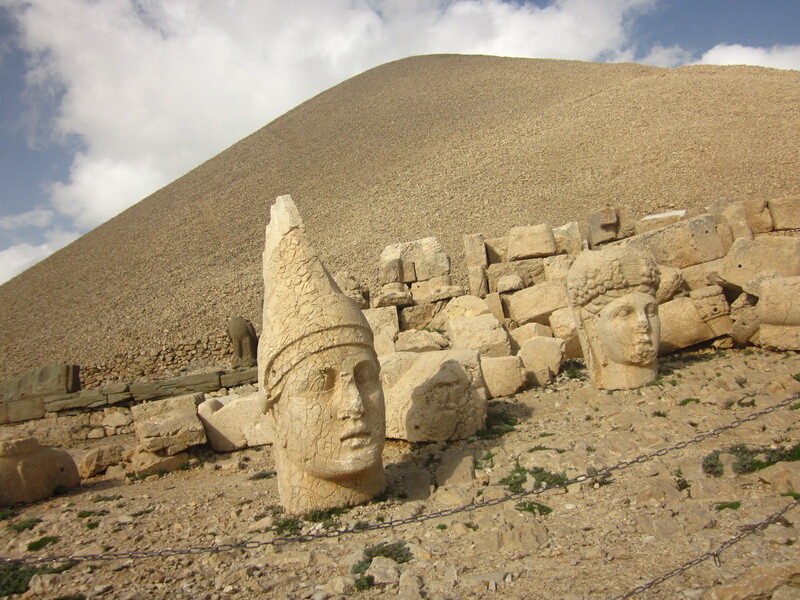 Nemrut, giant stone monuments that seem to have been beheaded. The monuments, which included eagles, lions, and deities, were originally built to protect the tomb of King Antiochus I. His tomb lies in the large pile of fine sediment behind the monuments, though it has not be excavated due to the difficulties of removing a giant mound of sediment. The heads made me think about how incredible it was that ancient civilization was able to haul up such heavy stones to such a high altitude without the use of any machinery. I mean, even our modern-day van had a few heart-stopping moments where the mountain climbing seemed to be impossible. The intricacies and sheer number of monuments atop Mt. 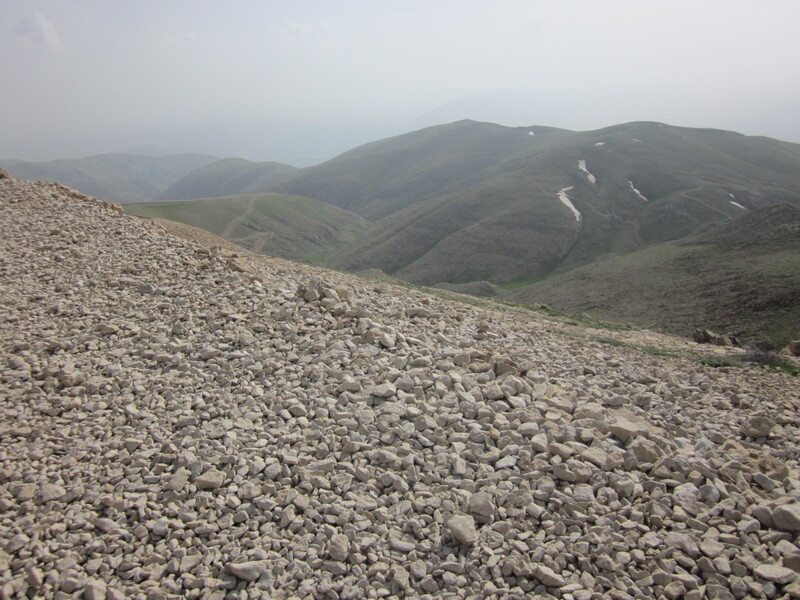 Nemrut made me wonder about the boundaries of human ability. Overall, it was a day exemplifying the magic of human ability to move past obstacles–from cross-cultural dancing and communication to pre-machinery heavy stone transportation, Turkey has taught has us Glo Urfans that, Oprah as it sounds, we are capable of achieving more than just our everyday successes.